Do you want to play a key role in a growing, experienced and passionate team supporting and shaping CARE International UK’s international development and humanitarian portfolio? Then join our Africa development programmes or global humanitarian programmes team. The Programme Management Team ensures that our programmes save lives and bring lasting change through consistent and high standards of programme design, quality delivery and learning. The Asia Programme Management team currently managing a portfolio of projects funded by institutional donors (DFID, EC, other institutional donors and Trusts and foundations), with a value of over £15 million, whilst the humanitarian team’s portfolio of projects are funded by institutional donors (DFID, ECHO, CSSF, JOA, UNPBF, DEC, START Fund), with a value of over £80 million. We are currently looking to recruit two Programme Management Coordinators. The permanent Programme Management Coordinator for the Asia team will work in a multi-disciplinary Programme unit and will be responsible for our work in Asia and multi country programmes. The Programme Management Coordinator, covering maternity leave, will be responsible for our work in Yemen, including a £27m DFID-funded humanitarian consortium and a new CSSF peacebuilding project. Each Coordinator will work closely with country offices in Asia, Yemen, Ivory Coast, Turkey and other countries to ensure that programmes are delivered to donor requirements and to high quality standards, with a focus on Monitoring, Evaluation, Accountability and Learning (MEAL), accountability and localisation. You will manage both grants and contracts, including complex consortia and projects with a strong focus on research and learning. You will have a role in ensuring that learning from our projects contributes to the knowledge base of the wider humanitarian and development sector. We are looking for passionate and experienced humanitarian professionals, with field and HQ experience managing large, complex grants, preferably in conflict-affected states. You will have very good knowledge of our key donors’ requirements (DFID, EC), and have good understanding in managing commercial contracts. For the Coordinator within the Humanitarian team, having a good understanding of peacebuilding programme is desirable. You must have the ability to build strong relationships in a remote management situation, influence those who you do not directly line manage, and build consensus in decision-making amongst partners. The successful candidates will be positive collaborators and strong team players. The roles require excellent communication skills, both verbal and written in English. CARE International is one of the world’s leading humanitarian and development charities. We fight poverty and injustice in the world’s most vulnerable places. We save lives in disasters and conflicts. We stand with women, girls and their communities to achieve lasting change for a better future. 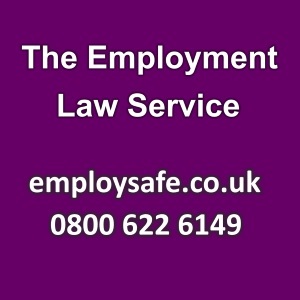 If you require the candidate brief or need to submit your application in an alternative format, because of a disability, please do get in touch. Please visit our website for the candidate brief for each position and to apply via our e-recruitment site.